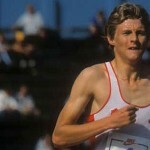 Former Olympic silver medallist Steve Cram has admitted that his protégé Laura Weightman must put her Olympic aspirations to one side as she prepares for the Aviva 2012 Trials on 23-24 June. Cram has been the mastermind behind Weightman’s recent form, which has seen her rise to second in the UK rankings over 1500m this year. Despite acknowledging that an Olympic place was the target for 20 year old at the start of the year, Cram believes it will count for nothing if she doesn’t overcome the challenge that faces her at Birmingham’s Alexander Stadium in what is the most competitive Olympic Trials in 20 years. Only world silver medallist Hannah England has recorded a better time than Weightman this year, and Cram is confident that his star pupil can complete the last piece of her Olympic puzzle at the Aviva 2012 Trials this weekend. “Laura’s worked really hard this year and she’s getting the rewards. In terms of what we thought we would have to do, the last part of that plan was that she knew she had to beat some good people at the Trials. The first bit is to get yourself in shape, the second bit is try and get the A standard, we’ve done those two things and like many athletes are happy to have achieved that. 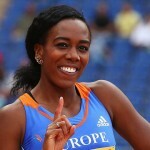 Weightman secured the Olympic ‘A’ qualifying standard in Hengelo last month but the British number two is not underestimating the task that she faces to qualify for the Games. “I knew from the winter training that I had the capability to run the A standard, so it has taken a bit of pressure off me. It is going to be a really tough race, with lots of competition, so I have to make sure that I keep doing what I’m doing at the moment. In what is the biggest year of her career, Weightman has recognised the contribution of Cram in her development, and believes that the knowledge and support of the British 1500m record holder is invaluable to her ambitions. 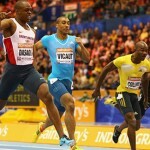 “Steve has been hugely influential in my progress as an athlete. I have improved considerably over the last few years under his guidance, and it certainly helps with Steve being hugely successful himself. 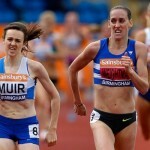 The women’s 1500m at the Aviva 2012 Trials is scheduled for 23-24 June.